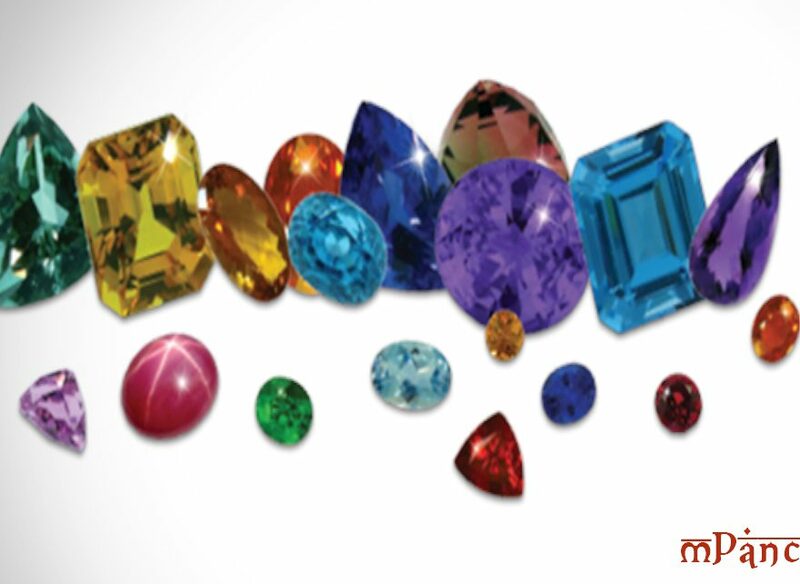 Every precious or semi-precious gemstone has certain characteristics which make them unique from the rest. Moreover, each gem has certain remedial effects as well along with their association to different planets. Let us know about characteristics and remedies of certain gemstones. Blue Sapphire, also known as Neelam, is an incredibly beautiful gemstone which reflects the different hues of the blue colored sky. This is most popular gemstone recommended for malefic Saturn planet. The specific gravity of this stone ranges from 3.99 and 4.00 and refractive index diverge between 1.760 – 1.768 and 1.770 – 1.779. The hardness of this gemstone is around 9 on the Mohs scale. Since the middle ages, most people used Blue sapphire due to its medical and spiritual healing properties. A malefic Saturn consequences in health problems like gout, arthritis, joint disorder, heart trouble, asthma, gastric trouble, and leg pain. All these problems can be fixed by adorning this gemstone. Apart from this, the astrologers usually recommend this stone to transporters, property dealers, contractors, mill owners, dealers in machines, workers of local self-government and policemen for success and fortune. This stone should be worn in the middle finger. Emerald is another most popular and most loved gemstone. It is recommended if one has weak Mercury in their birth chart. Emerald is a mineral obtained from oxygen and silicate of aluminum beryllium. It has a hardness of 7-8 of Mohs Scale with a hexagonal crystal structure. This beautiful gem is found in different hues of green. Emerald gemstone helps in calming one down mentally as well as physically. It also helps in improving one’s common-sense and spiritual power. Emerald gemstone can be worn with silver/gold. A person whose Mercury is strong can be a good politician and intellectual. Ruby is admired world over for its bright red color and unique brilliance. Besides its beautiful shade, it is also the most desirable gem due to its hardness, durability, luster, and rarity. Rubies measure 9 on Mohs scale, so it is indeed one of the hardest gemstones. Among the naturally occurring gems, only moissanite and diamond are harder than Rubies. The specific gravity of this stone ranges from 3.97 and 4.05 and refractive index comes between 1.768 – 1.772 and 1.760 – 1.763. It is said that when the Sun is in a weak position in one’s birth chart, then it results in a person lacking energy in their body, general body pain, and uninvited problems mainly relating to the Government department. Ruby benefits a person by blessing them with wealth, name and fame. It also improves the strength of a person, functions of the heart, build immunity, and prevents eye trouble, fire accident, gastric and peptic ulcer. Diamond is the hardest known natural element measuring 10 on Mohs Scale. The weight of the diamond is measured in Carat- a carat being equivalent to 0.20 grams. When you are looking for real and natural diamonds, you should educate yourself about a diamond’s characteristics – the “Four C’s including Color, Clarity, Cut and Carat. Diamond has the power to bring in more happy and positive thoughts in one’s mind along with removing evil and fearful thoughts. People who are poets, writers, linguists, public speakers, politicians, sports person, priests, newspaper and media reporters, boxers, advertising agency men, film distributors immensely benefit by wearing a diamond. Pearl is a beneficial stone which should be worn by individuals with a weak Moon. The chemical composition of pearl is calcium carbonate + organic substance + water. Pearl is an extremely soft gemstone with its hardness measuring from 2.5 to 4.5 on the Mohs scale. The specific gravity of this stone ranges from 2.60 and 2.85 and the refractive index diverges between 1.52 – 1.66 and black 1.53 – 1.69. Pearl helps in enhancing the stability of mind and also directs the mind towards positive by eliminating the negativity caused by the planet Moon. Pearl stone is said to be an effective remedy for various illnesses like heart diseases, diabetes, poor memory, insomnia, a disease of lungs, breast, piles, diarrhea, and deficiency of calcium. According to Astrology, it can also enhance the shine and strength of women and make their marital life happy. Pearls can be worn as both, as a ring or a pendant. If you are using it as a ring it should be worn on the right hand`s smallest finger and the minimum weight should be at least 2 Rattis.